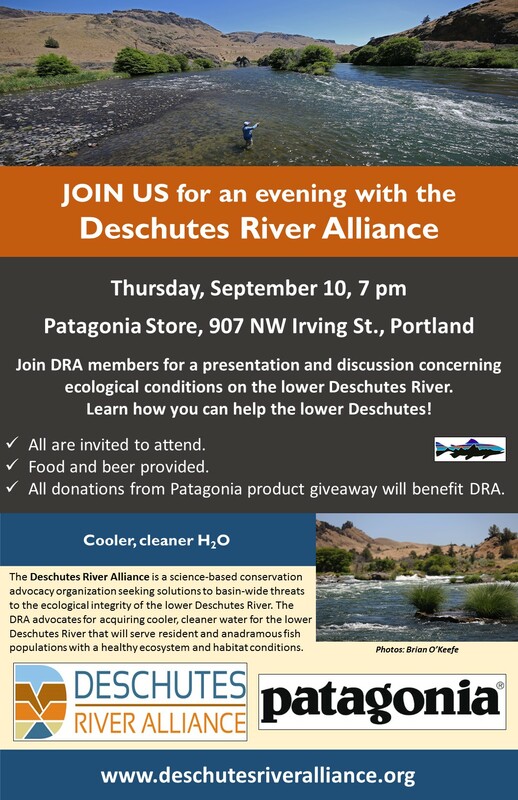 REMINDER: DRA fundraising event at downtown Portland Patagonia store- Thurs. Sept. 10, 7 pm. Join us! 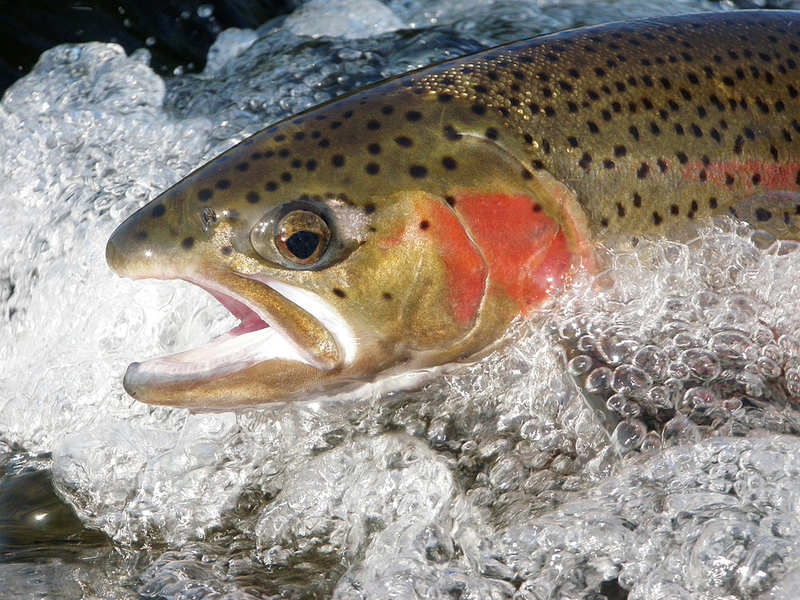 This past Monday, August 31, the Oregon Department of Fish and Wildlife issued a press release announcing that the proposed rule change that would have allowed harvest of two redband trout of 8 inches or longer per day on the lower Deschutes River, has been withdrawn. 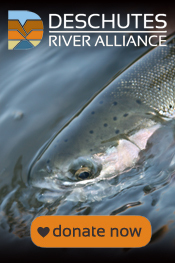 This news has delivered a sense of relief to many longtime anglers on the lower river, many of whom responded with letters and emails to the OFDW Commission expressing their opposition to the proposed regulation change. A number fly shops, guides and outfitters committed to not only sending in comments to the Commission, but had made plans to testify in Seaside on Friday, September 4 opposing the rule change. Jon Belozer deserves special credit for sounding the alarm on the rule change. Mark Bachman put a lot of time into making phone calls, writing emails, and was packing his bags to attend the Commission hearing. John and Amy Hazel sent out emails to nearly 4,000 customers asking them to respond to the Commission’s proposal, and the Hazels were prepared to travel to Seaside to testify before the Commission. John Smeraglio notified his customers and had them send in emails. Brad Staples produced many emails to many contacts. And I know that these business owners and guides were not alone. Others contributed to the effort too. The DRA wants to express our deep sense of gratitude to everyone who responded to the proposed rule change. Our supporters stepped up and delivered when it was necessary. Thank you for sending emails and writing letters. We also want to express thanks to the staff at ODFW for recognizing the value the angling public places on conservation management on the lower Deschutes. To those at ODFW involved in that process, thank you. And on behalf of all of our supporters, we extend thanks to ODFW.